Ring in the New Year in style with this adaption of the classic French 75 cocktail, originally created in 1915 at the New York Bar in Paris. Our master mixologist Manny Hinojosa updates the mix with fresh raspberries and Nature’s Agave Clear Nectar. Happy New Year! In a mixing glass muddle fresh raspberries, add Oxley gin, Nature’s Agave Clear Nectar, rose water and fresh squeezed lime juice. Add ice, shake vigorously and serve in a champagne glass. 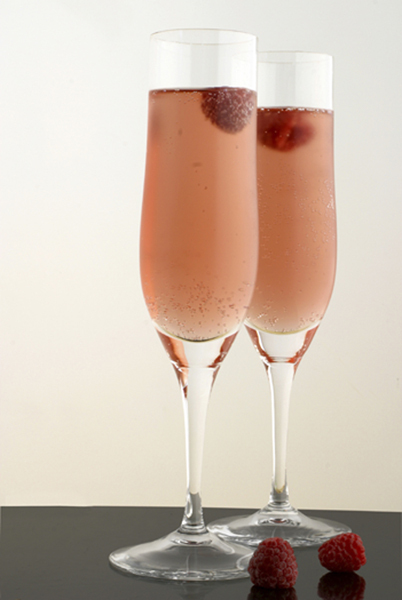 Top with chilled champagne and garnish with a fresh raspberry.